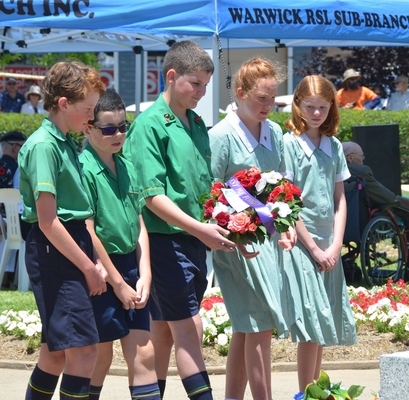 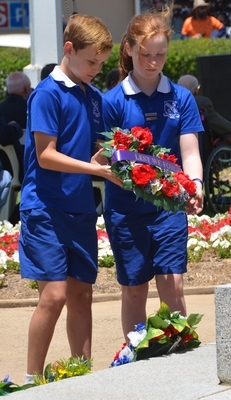 Young people were at the centre of Remembrance Day 2018 commemorations in Warwick’s Leslie Park today, Sunday 11 November. 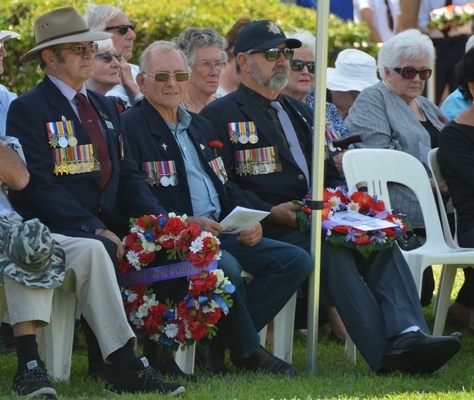 Warm weather, blue skies and a stunning floral display in the park formed the backdrop for the service – memorialising 100 years since the signing of the Armistice which ended the First World War. 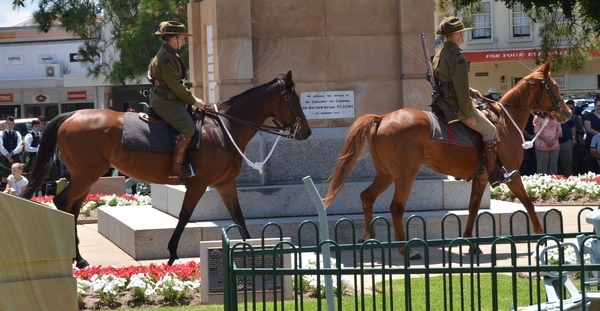 The Scots PGC College Pipes and Drums provided music ahead of the service, which included members of the 11th Light Horse Montrose Troop. 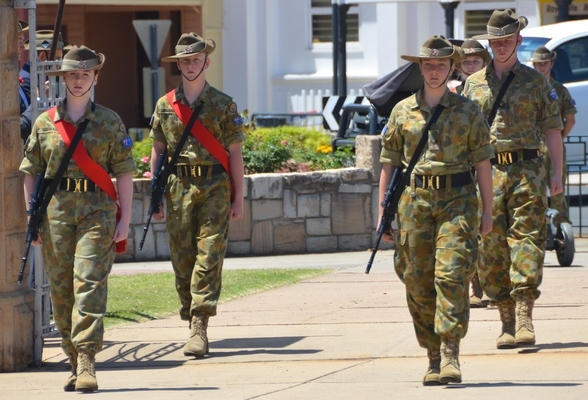 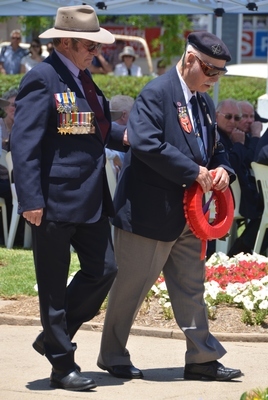 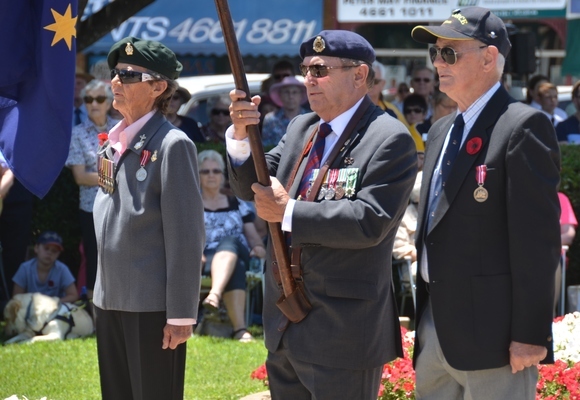 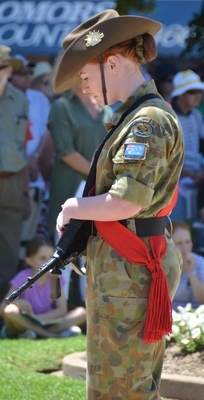 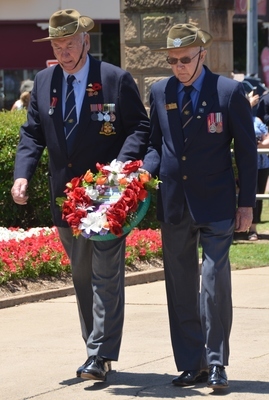 But it was the 17 ACU Warwick Army Cadets who were front and centre for the service, forming the Catafalque Party and flag attendants and dutifully standing to attention as a group. 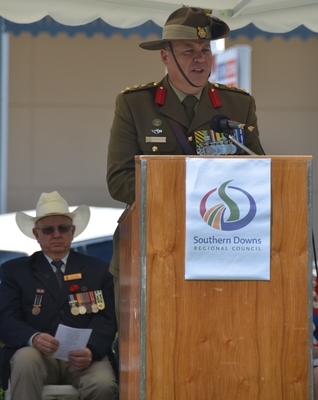 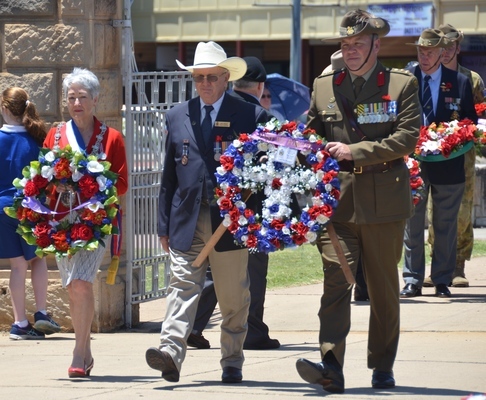 The Address was given by Brigadier Duncan Howard, Deputy Commander of Australian Defence Force (ADF) Cadets, who spoke of the sacrifices made by Australians in wartime, including families from country communities like Warwick. 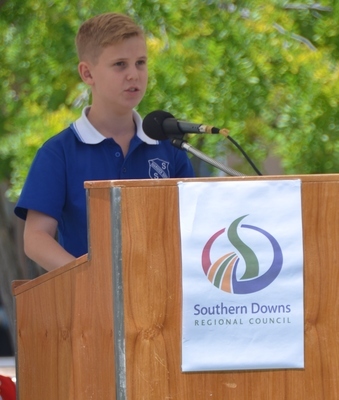 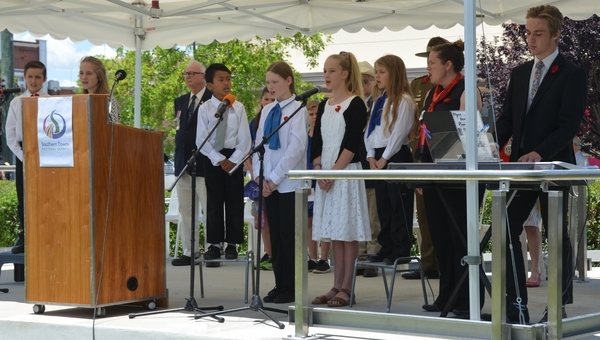 ‘In Flanders Fields’ was read by Warwick West State School captain Riley Butler and a young group of community singers – led by Warwick Central SS-based music teacher Jayne Shelley – gave a moving rendition of ‘400 Seasons’, symbolising the years between the end of the First World War and today. 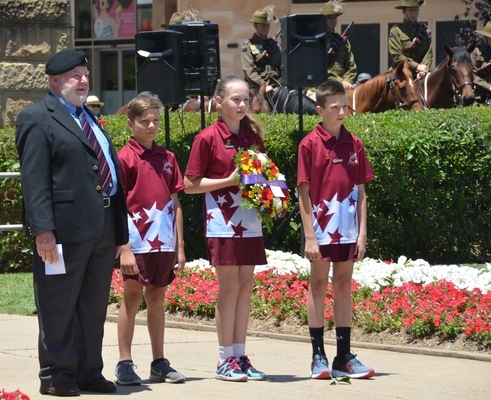 A flyover in his Tiger Moth by aviation enthusiast Danny McCartin – who hangars his aircraft at Warwick’s Massie aerodrome – happened right on cue, as the Warwick Town Hall clock struck 11am.